Lane Cove Council has just informed us that the developer at 150 Epping (former Shell petrol station) has put in significant amendments to the approved Planning Concept Plan. The 150 Epping Road development was the subject of a Part 3A planning proposal to develop the land for mixed use purposes that included residential towers and commercial office space comprising six buildings ranging from 6 to 20 storeys. The proposed amendments include removing the proposed pedestrian access bridge over Epping Rd, removing commercial space, reducing retail space, deleting a cumulative traffic study, deleting a child care centre removing a community bus, increasing parking spaces and changing arrangements regarding developer contributions and bushland management. Lane Cove Council is organising an information evening for residents next Tuesday evening, 13th August, at 6.30 pm, in the Council Chambers. Lane Cove Council is hosting a community session on Wednesday 12 June to provide information about the recommendations featured in a recent independent review of local government. To register for the information session or provide feedback to assist in our our formal response to the Division of Local Government, view the Current Issues section of our Lane Cove Council’s website. Residents attending the SBCRA’s recent community forum requested another week to prepare submissions to Lane Cove Council on the NSW Government’s planning reforms, in order to be able to incorporate information from the forum into their submissions. We are pleased to announce an extension for community submissions to Lane Cove Council has been granted until Friday 7 June. More info on Council submissions can be found on Lane Cove Council’s website. Don’t miss out on the opportunity to have your say! If you aren’t aware of the State Government’s proposed planning reforms, you need to be before its too late! Under the NSW Government’s proposed new planning system residents could lose the right to comment on 80% of development applications in their neighbourhood. The SBCRA together with Lane Cove North, Lane Cove West, Riverview and Northwood Residents’ Associations held a well attended public forum on Thursday 30 May informing residents about the proposed planning reforms and how it will affect planning in our area. Key note speaker Corrine Fisher from the Better Planning Network provided an insighful analysis of the proposed planning reforms and why residents need to act now to inform the NSW Government about concerns they may have with the proposed system. 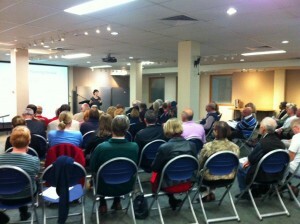 The Better Planning Network is an affiliation of nearly 400 NSW community groups that includes Lane Cove groups. Public submissions on the NSW Government’s planning White Paper and draft legislation are due on 28 June, 2013. For more information on the NSW Government’s planning reforms and White paper see the NSW Government Planning Reforms on the right-hand side tool bar of our website – it includes background information on the reforms, what they mean, how to respond, what community forums are available and useful links for preparing submissions. The Better Planning Network website also provides information about the proposed reforms and an easy to action email template that you can use to submit your feedback to MPs and NSW Department of Planning. 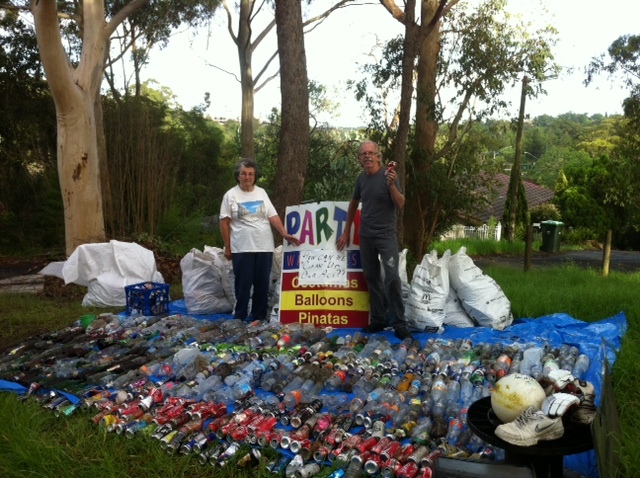 SBCRA and Lane Cove West Residents Association joined forces for Clean up Australia Day on 3 March. We had 32 enthusiastic volunteers who helped clean up in the bushland areas surrounding Stringy Bark Creek, Batten Reserve, Moore St, Hands Quarry and along the bushland corridor as far as the old Shell Petrol Station on Epping Rd. The amount of rubbish collected was extensive including takeaway coffee cups, hundreds of plastic bags, items of clothing and shoes, snack wrappers, cigarette packets and lighters, a television set, car wheel rims, shopping trolleys and kids toys. This year we concentrated on counting the recyclables which included 278 plastic bottles, 265 aluminimum cans, 163 glass containers – a total of 706 recyclables. Have a look at what we collected in these photos.